I have to admit they are impossible to resist. 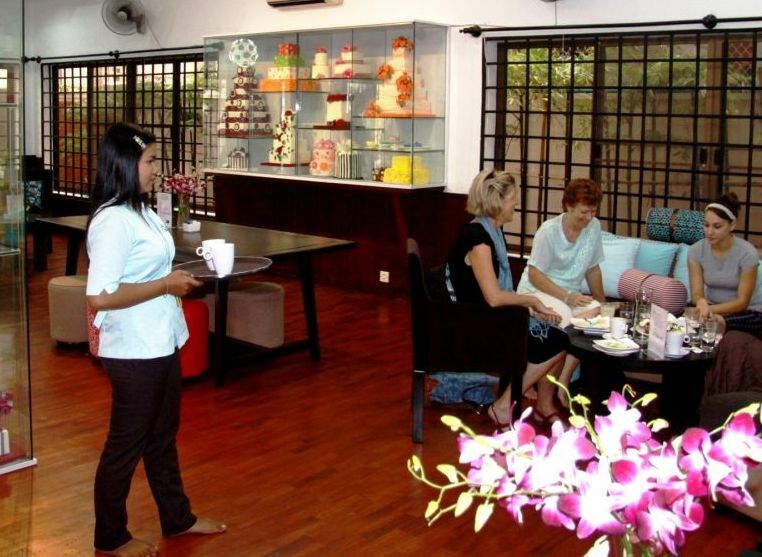 When you walk through the door of the café, you’re overwhelmed with shelf upon shelf of light, fluffy creations which are, as their marketing suggests, “Too beautiful to eat. Too delicious to resist”. Mounds of thick, creamy frosting piled high on tiny lemon, chocolate or cheesecakes foundations decorated with perfectly designed miniscule flowers, figurines, birds and snowflakes…no less than 50 flavours of cupcake, rotated every three months to provide variety. It’s every dessert lover’s dream. It’s also the dream of Ruth Larwill who, together with her husband, Murray, was inspired to come to Cambodia in 2005. “I had this thing in my head which I really can’t explain,” she said. “Something told me I had to come to Cambodia and, after coming here, realized this was really a calling and that the universe had been pointing me in this direction”. On her first visit, Ruth was introduced to a group of young, disadvantaged Cambodian girls whose dire circumstances touched her heart. She set up a training program to teach them how to bake and decorate cakes and to become certified in hospitality, as well as teaching them how to read and write and speak English. At the same time, Ruth’s church in Australia got behind her cause and, in their Christmas collection, raised the exact amount needed to create the business. And then, Ruth’s sister, who is a singer, held a concert to raise funds for training and provided enough to cover her costs. “There were so many miracles,” she smiled, “It never ceased to amaze me how much support I received and how many blessings I have”. 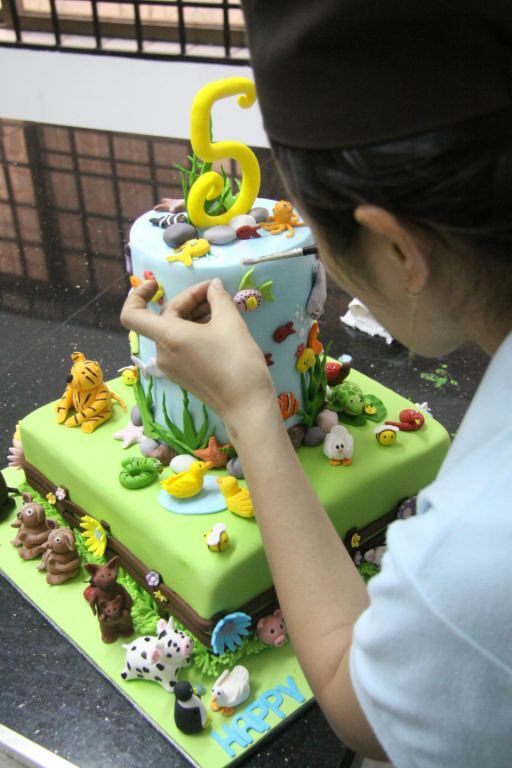 Today, Bloom employs 24 underprivileged girls who create cakes worthy of display in any high-profile magazine as well as on the table of Cambodia’s royal family (who have been recent customers of the store, along with the Australian ambassador, the Minister of Phnom Penh city and the recent CAMFood Expo where Bloom displayed their 2.2 meter cake). 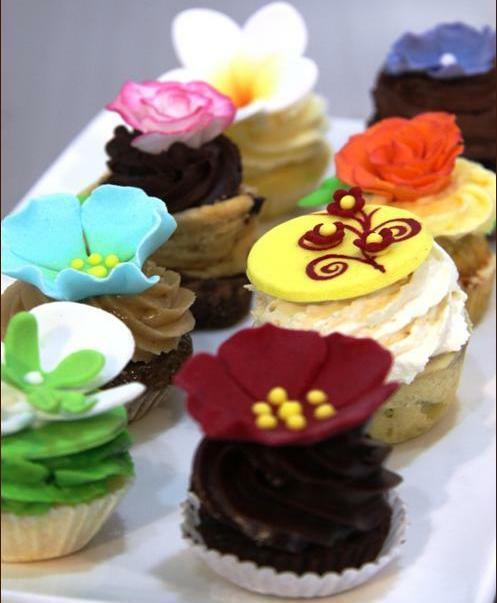 While cupcakes tend to be Bloom’s best sellers (with one excited patron eating nine at one sitting), Ruth originally designed them as quirky “extras” for the café to back up the principal focus of the bakery – full-sized creative cakes with designs limited only by your imagination. They’ve made a Noah’s Ark cake (on display in the cafe), handbags, elaborate wedding cakes with cascading blossoms, castles, high-heeled shoes, striped, spotted, glittered and flowered…They’re filled with white chocolate ganache, lime cream cheese, chocolate mousse, caramel ganache and orange buttercream. And, later this month, you’ll be seeing cakes with Santas and Christmas parcels as well as a line of hand-made cards and invitations designed with the same meticulous care and high quality as the cakes. 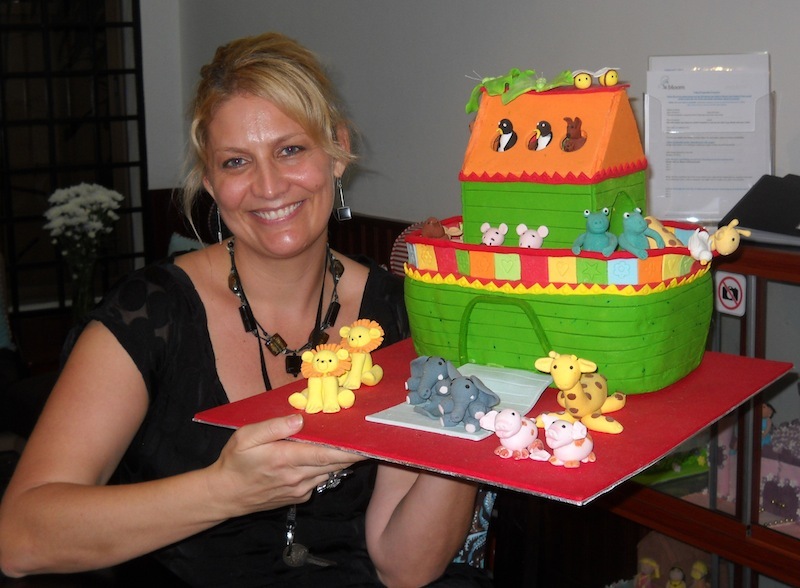 While the concept was created by Ruth (who has been baking and decorating cakes since she was nine), she gives most of the credit to her girls. “They are constantly amazing me with their creativity,” she said. “Each one of them passed their exams with at least 96 percent and they are always coming up with new ideas. Some of them told me they prayed every day to find a way out of their circumstances before they met me, and that this work has given them back their value.